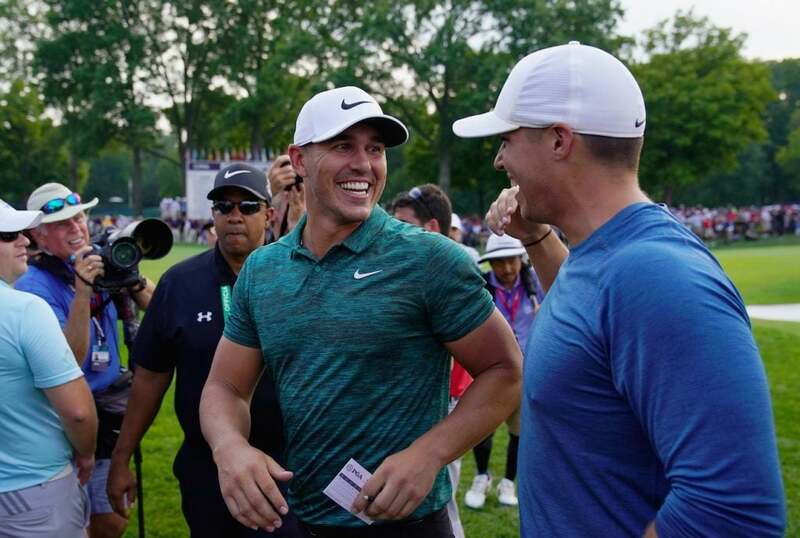 Brooks Koepka celebrates with his girlfriend, Jena Sims, after winning the 2018 PGA Championship. 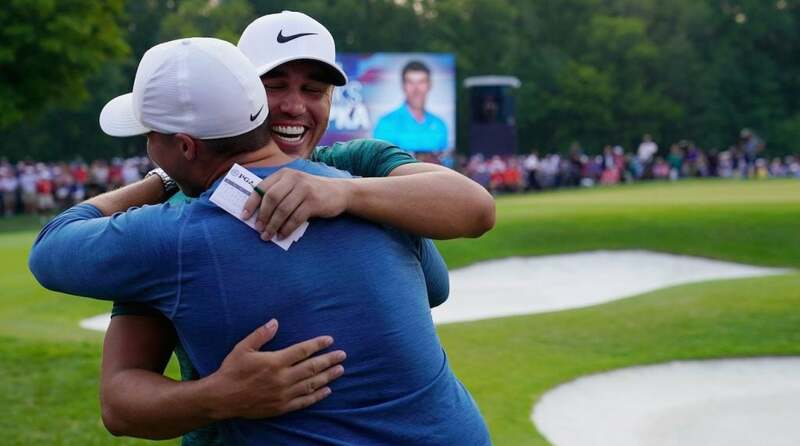 Brooks Koepka celebrates with his best childhood friend, Dan Gambill, after winning the 2018 PGA Championship with a score of -16 at Bellerive Country Club. 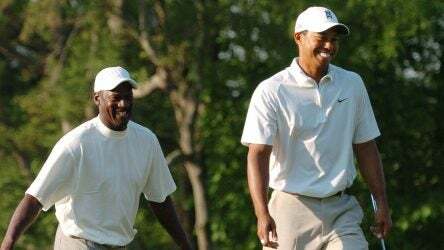 Brooks Koepka celebrates with his best childhood friend, Dan Gambill, after winning the 2018 PGA Championship. 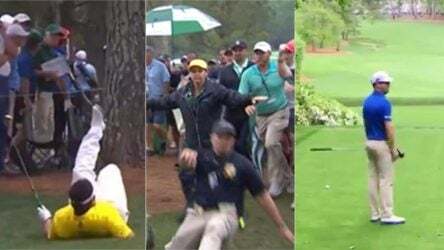 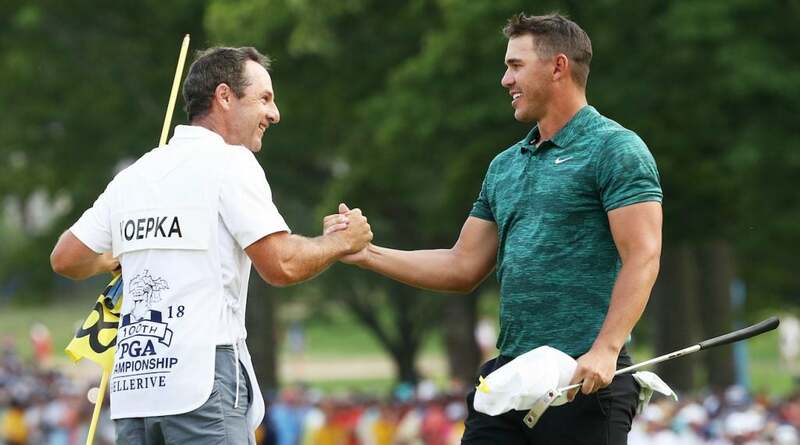 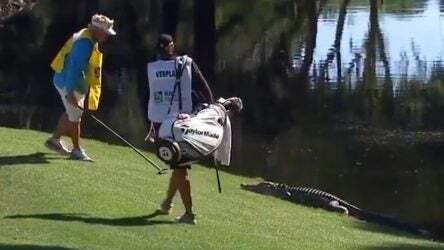 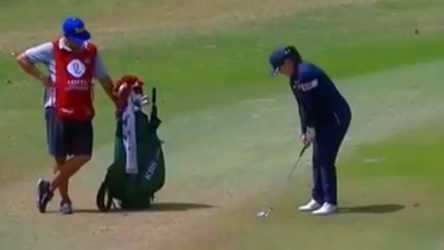 Brooks Koepka celebrates with caddie Ricky Elliott after winning the 2018 PGA Championship. 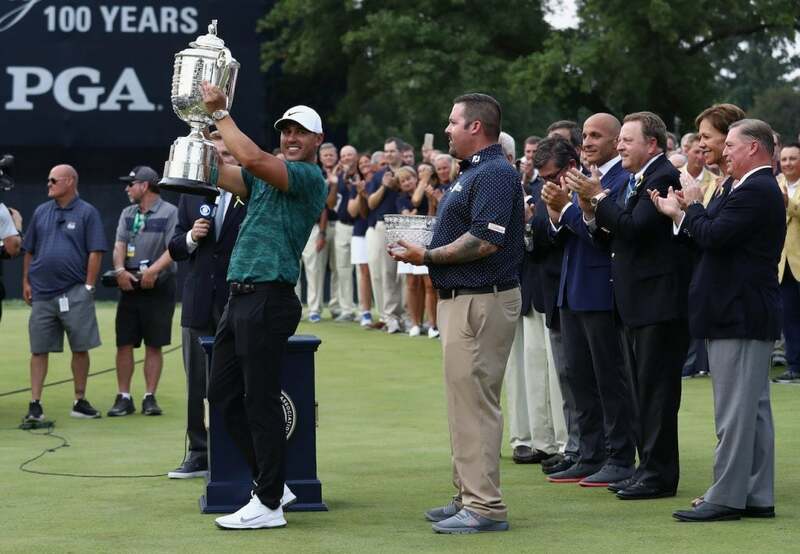 Brooks Koepka celebrates with the Wanamaker Trophy on the 18th green after winning the 2018 PGA Championship. 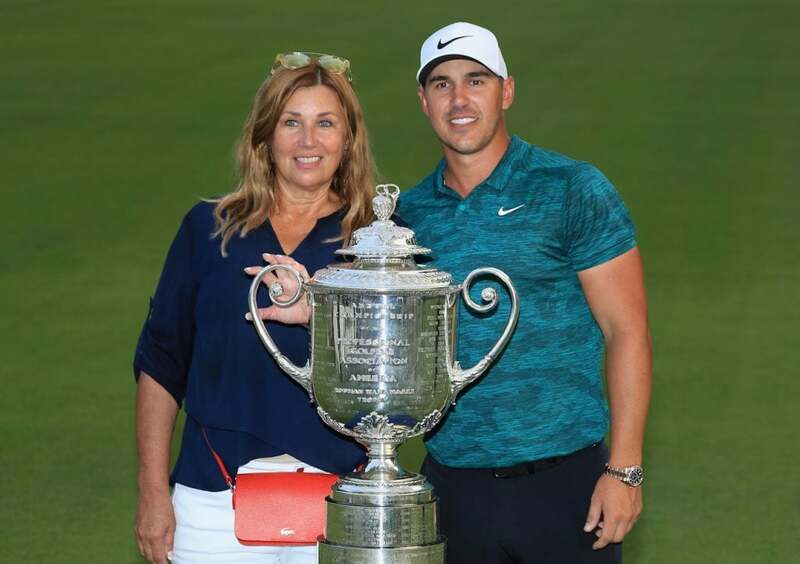 Brooks Koepka and his mother, Denise Jakows, pose with the Wanamaker Trophy on the 18th green after Koepka won the 2018 PGA Championship. 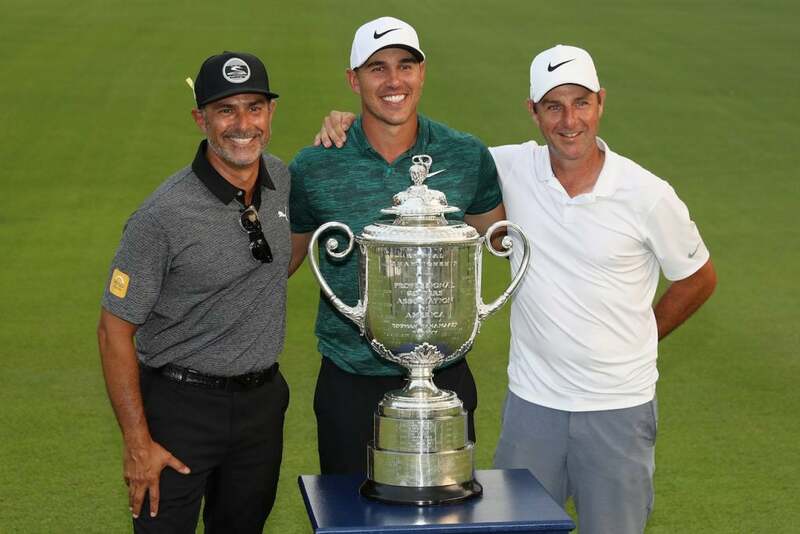 Brooks Koepka poses with Claude Harmon (L), caddie Ricky Elliott (R), and the Wanamaker Trophy on the 18th green after Koepka won the 2018 PGA Championship.